Everyone was very helpful positive knowledgeable and friendly. We had a positive experience and wiant to thank everyone involved in helping us meet our desires and our needs. Scott and Steve were great. Diane stepped in when some issues came up and ensured things were corrected. Other than a busy Saturday making things take a bit longer, the experience was fine. The waiting area and fresh baked goods were also very appealing. I took my Infinity QX30 in for a 25k mile service. The next day I discovered a leak and called the service manager. Within 45 minutes a tech was @ my home with a loaner car & took mine back to the shop. 90 minutes later the service manager called back to let the know the problem was due to a mfg defect. They fixed the problem, detailed my car and returned it to my home the next day. I cannot day enough good things about the team @ Inifinity of Nashua. Professional, courteous and they go above and beyond at every turn. I will be buying my next car from them for sure! Great people, great car, great price, and the closing process was surprisingly smooth and painless. Chris my salesman was awesome. I drove 3 hours from Connecticut and I’m glad I did. As a premier Nashua INFINITI dealership, we strive to give all our customers a pleasant car-buying experience. We invite all customers looking for new or used vehicles near Hudson. Visit us and check out why INFINITI of Nashua is the best place to buy or lease vehicles! We also serve Londonderry and Merrimack customers. We are always going that extra mile to provide an excellent customer experience. Located in Nashua, our dealership proudly serves all neighboring areas. Drivers continue to prefer us for our large selection of new and used INFINITI sedans, SUVs and crossovers. We invite all our customers to browse our online inventory. Interested buyers can check out models like Q50 Sedan, Q60 Coupe, QX50 Crossover and QX80 SUVs. If you see a model you like from our large selection of vehicles, we would love to assist you with the next step. We are sure you would find something you like from our inventory. Contact us to schedule a test drive today! Our Nashua dealership provides various financing options, and also has a dedicated service and parts center. You can order accessories and parts online using our simple online form. You can even schedule a servicing appointment online. Get a quick quote for your favorite INFINITI sedan, SUV, crossover or convertible. The friendly and professional staff at your Londonderry INFINITI dealer alternative is here to help you with any issue you may have. CONTACT INFINITI OF NASHUA TODAY! If you have any questions about the new and used vehicles, or the parts and services we provide, get in touch with our sales team. A friendly INFINITI of Nashua sales representative will get in touch with you and answer all your questions. Feel free to call us at (844) 278-1847 in case of any queries. 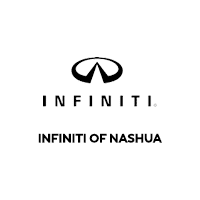 There is a reason why INFINITI of Nashua is so popular, and we invite you to come in and see for yourself. As your preferred Merrimack INFINITI dealer alternative, we look forward to serving you soon!